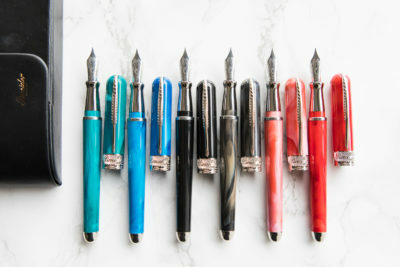 When you’re first starting out with fountain pens, it can be confusing trying to understand how they work and what you need to know to get started. I set up this Fountain Pen 101 series to make it easier to learn the basics of fountain pen use so that you spend less time struggling and more time having fun! Here is the YouTube playlist, so you can watch the entire series straight through. Feel free to also subscribe to my YouTube channel, TheInkNouveau, to see all of the videos I post.